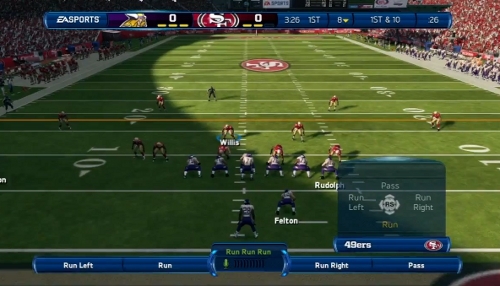 The most common question following the latest video from EA Sports regarding Kinect for Xbox 360 features in Madden NFL 13 was whether the functionality would be present for online head-to-head games. The company has since confirmed that it is in fact available to use during online games and the actual implementation is cleverly done. Those who have a Kinect plugged into the 360 will have an option in the game settings to enable or disable it for use. During online games when enabled the Kinect will pick up any pre-play voice commands during which time that user is muted from their opponent. The mic for chatting with the opponent flips back on after the snap and stays active until the next play is chosen. Consumers without Kinect, or that have disabled it in the settings, will have the typical uninterruped voice chat with opponents in online games.